Starting today I will be doing a series of posts on how to make your own blog. It’s going to be an interesting journey for both you and me as I share my knowledge with you and gain your suggestion as well as answer your queries. I have created couple of blogs over years and this series has been created by pooling my knowledge along with the knowledge and expertise of many of my fellow bloggers. Whenever I have come across a great article by a fellow blogger on any topic, I have referenced it in this series. also have you read my article on how you can make $3666 a month, If not click and read it. If you are looking for basics about blogging, head over to my ‘Blogging Basics' article. Here we will be covering everything from basic to advance, from how to setup a blog, to its marketing as well as how to make money from your blog. This series has been divided into 18 parts, which have been listed below. We will be looking at each part in detail individually. Do let me know about what you think about this series in the comments section of each part. Before you start a blog, you need to decide what your blog will be about, will it be about dogs or cars or fashion or maybe about paranormal activities! Whatever it is, you need to decide on it. This process is called Niche selection. 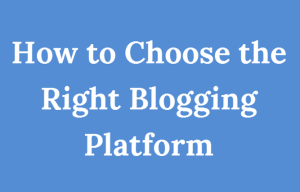 It is the 1st step in starting your own blog and you need to work on selecting it carefully. You need to be committed to your niche, that’s the bedrock of any successful blog. Even if you have already made up your mind about what you want to start a blog about, still this step will be beneficial for you. It will help you determine what exactly should you write on in your blog, and whether your chosen topic has money making potential. Digging Deeper in your chosen niche to find the right fit topic for you. So let’s get started. This part is divided into 2 segments. First we will look at the process of choosing your niche. Once you have decided on the broad niche, we will delve in deeper to find the perfect match for you. So that you have a blog topic that you love and can earn off as well. Choosing a niche can be a tricky proposition for some and a breeze for others. When making this decision there are a couple of factors you will need to consider. Starting off you will need to decide on whether you would prefer to innovate (create a whole new product/niche) or improve (improvise on existing niche/product). Both the approaches have their own pro and cons and your choice will depend on your inclination. 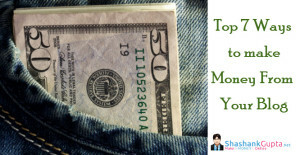 Next up you will need to check the money making potential of the niche you want to work with. Unless you want to blog for altruistic purposes money making potential of your niche will be a critical factor in your decision making. Louie from Buzz Nitrous has also nicely explained How To Find A Profitable Niche, i would recommend reading it. Moving ahead you will have to consider whether the niche you want to work with is expanding or shrinking. And finally you will also have to take into account the competition in your chosen niche. All these factors will impact your niche choice. So let’s look at each of these factors in detail. Make things better. Innovation is far more complicated. Take something that is already working and improve it. Think bread. When you go the corner store to pick up your bread in morning, there are many options; you may pick up any one. Competition is fierce. If I can make bread and want to sell it, this competition might make this look like an uphill task. So should I go about inventing something else that will be as versatile and popular as bread? Or should I look to make bread better? Investment Large Investment, I will have to invest in lot of money, time and other resources. Plus I might not have any other reference source so process might take longer Smaller investments, as bread recipes are freely available, and so are the ingredients. I only need to work on improving, so I might need to experiment, but I am not starting from scratch. This will make the process faster. Making bread better will require less investment from my end and also guarantee me success, since bread is an already established product, it is popular and has good sales figures. So now I have a decision made that I will work on improving the bread. Next up will be deciding which improvement to make. Study the market, explore it, understand it, talk to other bread consumers, and if you do not consume bread currently become one of the consumers, eat and understand what would you like to change about bread? List down all the potential improvements. Study the market and other consumers to know which improvement is most in demand. Work with that improvement. I personally would love to have some oats in my bread, I like their chewiness. But I’m not looking to make bread for myself, I want to sell it to the masses so I need to check what kind of improvement would masses like, would they like an oat bread or more bran in their bread or maybe a rye bread, or would they simply like to have thicker bread slices ! Just find what improvement they want and do it. And this will ensure my bread will sell like hotcakes. All the bread talk has gotten me hungry 🙂 how about you? Grab a quick snack and come back and read through the rest of this blogging guide. Not all niches are equal. Some have much stronger money making potential as opposed to other. If your purpose of creating a blog is to make money, then you cannot miss out on this point. AdSense ads pay very high for some niches and in some others it hardly displays ads. Some niche lend well to affiliate marketing while some others earn more money by selling private ad spaces. Whatever be the money making options, explore and understand them well. Before you decide on your niche, compare how much others in your niche are making, this will give you an idea of the earning potential. If you choose to write on some financial product that has declining interest level, your blog will never reach its full potential. 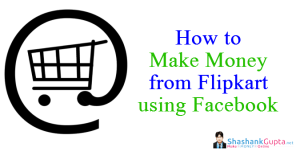 As opposed to this pick up a newly launched financial product that is generating buzz and likely to become the next big thing and write on that. Keep an eye on the trends and what are people interests. If you can get a topic before it get really big, you will have lesser competition, more time to work on quality content and much more commercial potential than others who might find this topic later than you. Darren Rowse of ProBlogger say's become a big fish in a small pond rather than a small fish in a big pond.” This should be your guiding principle when looking for competition in your chosen niche. Stronger the competition lesser the chances of success. Best to go in for medium to low competition niches, where you can quickly come to rule the roost. Right so by now you have made a decision on which niche you want to make a blog about. Most bloggers stop here, and move on to step two and start with the domain name selection etc. But is this enough? No. In order to make a blog that stands out from the rest, you need to dig in deeper in your chosen niche. Find the hidden gem and make most of it. So lets do this right now. Car blog for first time car buyers, what they should check, how to compare cars and more. You can choose to take any of following approach or maybe something else. How do you decide which approach to take? Dig in deeper in your niche for this. List down some defining keyword for each of the approach you can take, and then check these keywords on tools like Google Keyword Research tool. This will enable you to understand which approach has most readers and most commercial potential. Always check on your competitors as well. What angles are already being covered in your niche. Is there some specific untapped sub-niche. A uncovered angle that you can explore? Conduct a small keyword research on this uncovered angle and if things look promising, this is the PERFECT angle for your blog. Grab it and run along! This concludes the first step of setting up your own blog. Now that you have the perfect topic on which you want to design your blog. 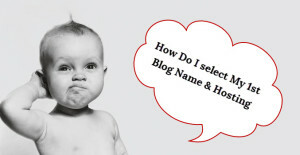 Next up we will see How to choose the Domain & Hosting for you blog. Domain is forever, hence its selection is very critical, we will be looking at different factors that you need to take into account when making your domain choice. Should you look at free or paid domain? Should be domain name be specific or generic? and much more. So see you in the next part. 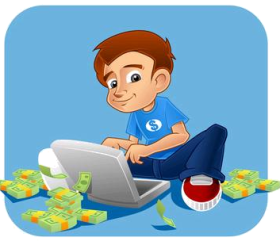 You should also read – 15 ways of making money online. are you using all the 15? Meanwhile do let me know in the comments box below, what are your thoughts on Niche selection process. Do you consider some other factors? Do let me know.